Get A Deal On The Car Of Your Dreams! Ready For A Great Deal? 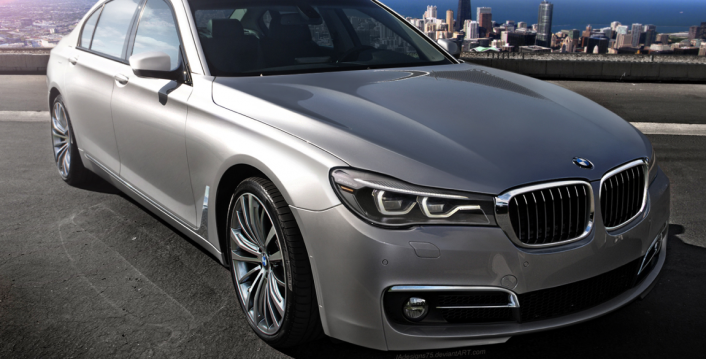 The all-new 2016 BMW 7 Series redesign offers all the comforts that can be expected from a four door luxury limo, while maintaining BMW’s signature speed and aloof demeanor. Through the use of reinforced carbon-fiber plastic, the 2016 BMW 7 Series has dropped in weight by 190 pounds from its previous model. Some other factors contributing to the car’s lighter weight can be attributed to its aluminum doors and trunk lid. The models shipping out to the U.S. are the 740i and 750i. The 740i starts at $81,300 and includes a 320 hp turbocharged 3.20 liter 6-cylinder engine with all-wheel drive. The 750i starts at $97,400 and comes equipped with a 445 hp twin scroll-turbocharged V-8 engine. Both the 740i and the 750i have an automatic 8-speed transmission. Active shutters on the front grille are designed for enhanced aerodynamics by remaining closed until the engine needs extra cooling. A sport package is also available to add a more aggressive look to the rear aprons, side skirts and front of the vehicle. BMW has invested much time and thought into securing its future position among competitors within the luxury car market. This is especially true in regards to how alternative energy has impacted the industry. Competitors like Tesla have cornered the luxury electric car market; Mercedes has also gained significant market share with its Mercedes S Class, which it launched as an answer to the BMW 7 Series. Strategies BMW has implemented to secure their market position include the electrification of a wide range of their vehicles such as the i8, i3, 3 series, 5 series and 7 series to adopt a plugin hybrid feature. BMW’s 7 Series also has been given enhanced technological features such as an iDrive touchscreen interface, which allows the driver to swipe controls in the air instead of manually touching keys on a screen. The BMW 7 Series also now directly competes with the current Mercedes-Benz S-Class in terms of vehicle length as the 2016 model has been made an inch longer. The BMW 7 series also encompasses a panoramic roof with LED lights. The BMW 7 Series is an improvement on the previous model in regards to options for energy efficiency, technological enhancements and performance. Additional improvements include enhanced focus on rear-seat comfort through the use of an Alcantara headliner and plush floor mats. It’s not surprise that many are positioning this sixth generation model of the BMW 7 Series to compete head on with Audi, Tesla, and Mercedes-Benz luxury editions. Copyright © 2015 Official auto. All Rights Reserved.